Grease nonstick skillet with cooking spray. Add ground beef, onion powder and garlic powder to greased skillet. Cook ground beef over medium heat, stirring frequently until browned and crumbled. Drain well. 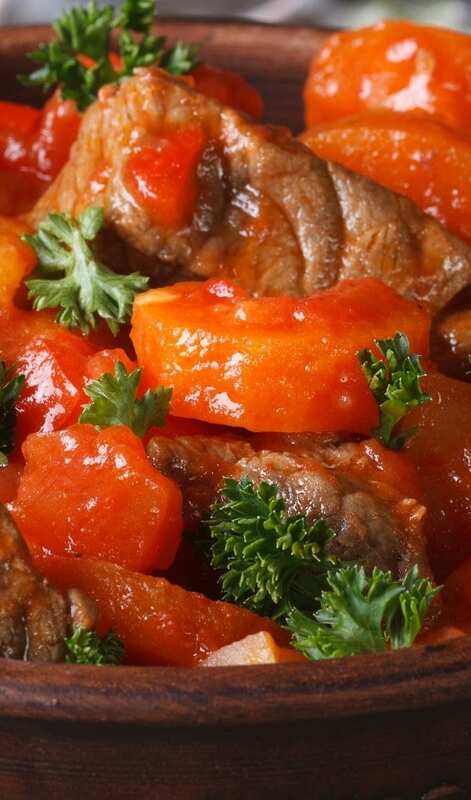 In slow cooker, combine all ingredients. Mix well, cover and cook on low-heat setting for 8-10 hours. 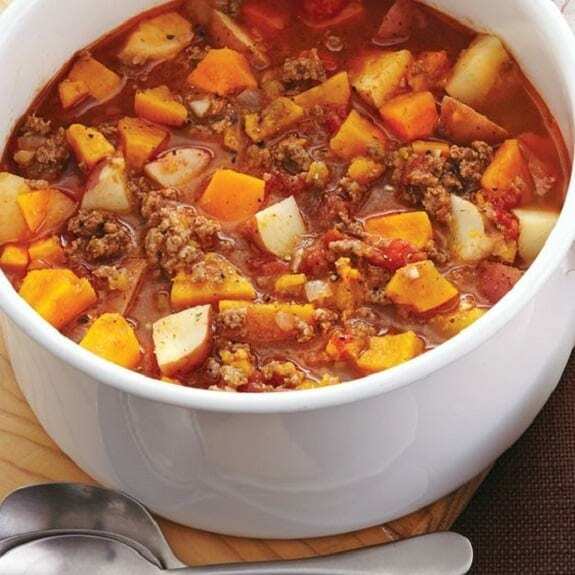 Serve vegetable ground beef stew hot.